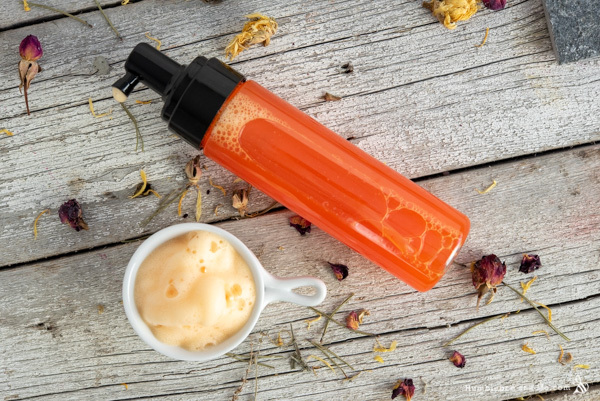 This Mango Mango Foaming Hand Wash is all about the bubbles—rich cascades of mango-scented, orangey clouds of lather that make hand washing a treat. Nothing needs to be heated so you can just stir everything together and you’re off to the races. I’ve already made over a kilo of this stuff so I can happily wash my hands with something reminiscent of a daiquiri for the foreseeable future. Awww, yeah. Our surfactant blend is a combination of anionic Sodium Laureth Sulfate and amphoteric Cocamidopropyl Betaine, with a total active surfactant matter of just 5% (so it’s not crazy strong or drying). Sodium Laureth Sulfate (sodium lauryl ether sulfate/ SLeS) is not the same as Sodium Lauryl Sulfate. They are both sulfates, but Sodium Laureth Sulfate is milder. Working with SLeS gives us many of the benefits of SLS—namely the fantastic lather and great cleansing—but with significantly lower irritation potential. Cosmetics Info has a quick article on some of the more common arguments against SLS and SLeS that is worth a read. 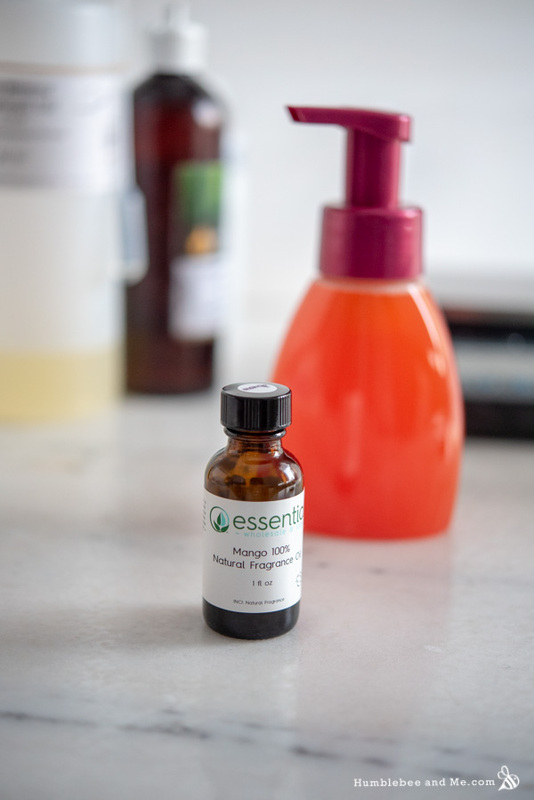 The scent comes from the beautiful natural mango fragrance oil from Essential Wholesale & Labs, though if you don’t have it a mango fragrance oil will work beautifully as well. The SLeS is a good enough solubilizer that we don’t need an additional one to keep the fragrance thoroughly solubilized, which is nice and easy. For colour I’ve included just a titch of orange lake dye. 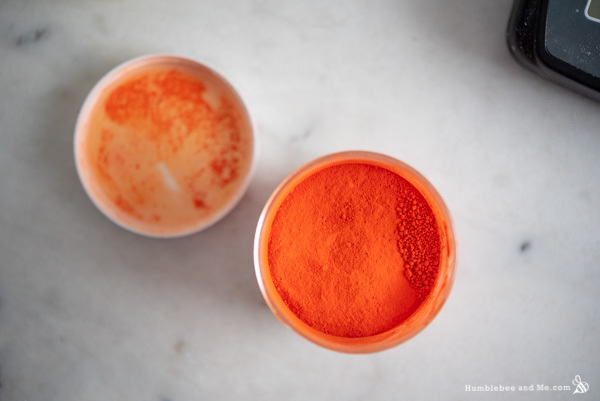 You’ll want to use a lake dye for colour here as they are water soluble and will incorporate quickly and easily into the very thin hand wash base—something like an oxide or a mica would just settle out. You don’t need much lake dye to get a very orange end product! The colour is optional, but I think it’s pretty fun. There’s no heat required, so this simple and super fun hand wash comes together in a flash. I hope you enjoy the copious amounts of bubbles as much as I am! 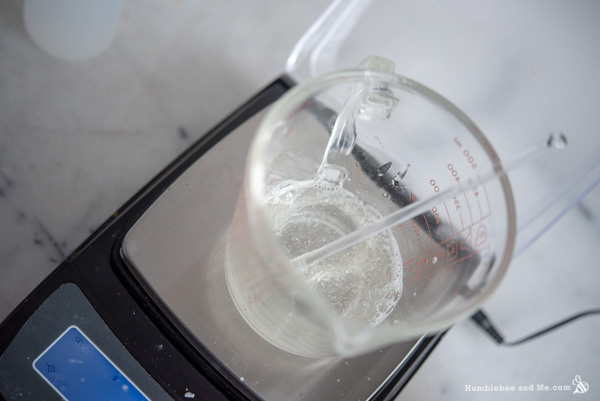 Weigh the surfactants and glycerin into a glass measuring cup that is large enough to contain the entire batch of hand wash. Stir gently to combine. The mixture will be quite thick because of the Sodium Laureth Sulfate. 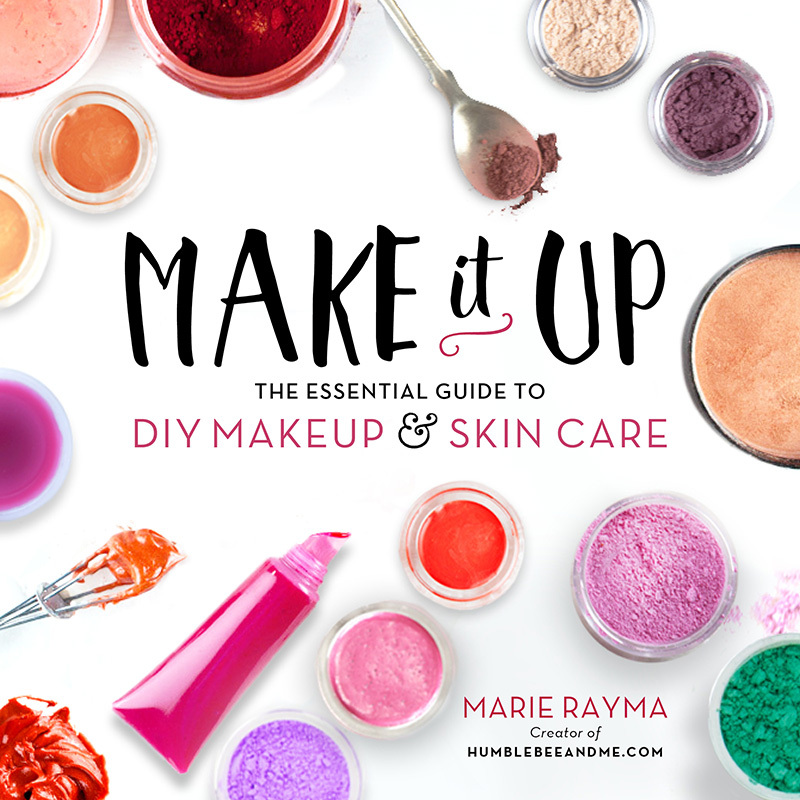 Add the lake dye, mango fragrance, and liquid germall plus, stirring between additions. Gradually add the water, pouring it over your stirring implement to break its fall and reduce that amount of lather that is worked up. Stir between additions. 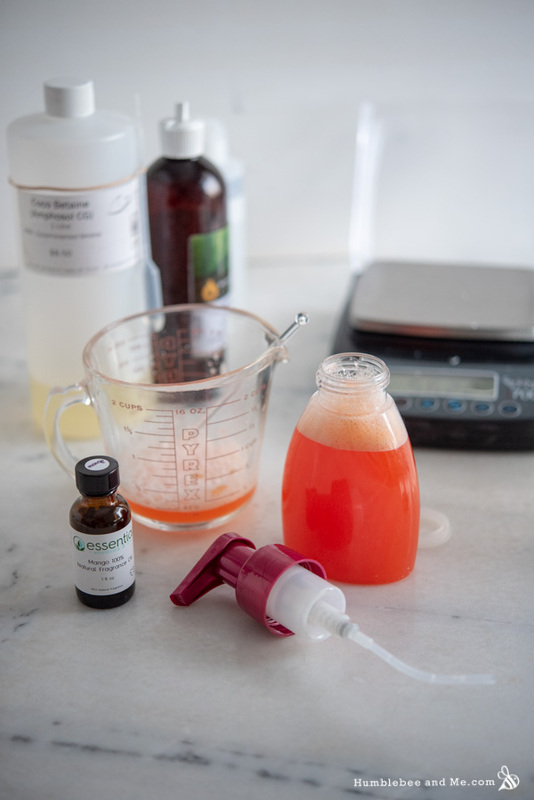 Once all the water has been incorporated and you’re no longer finding blobby/stringy bits of Sodium Laureth Sulfate, you are ready to package your hand wash.
Decant into a 250mL/8fl oz bottle fitted with a foamer top (you need the foamer top!). Windy Point has a fun selection of clear foamer bottles with coloured pumps that would work beautifully! As I’ve provided this recipe in percentages as well as grams you can easily calculate it to any size using a simple spreadsheet as I’ve explained in this post. As written in grams this recipe will make 250g. 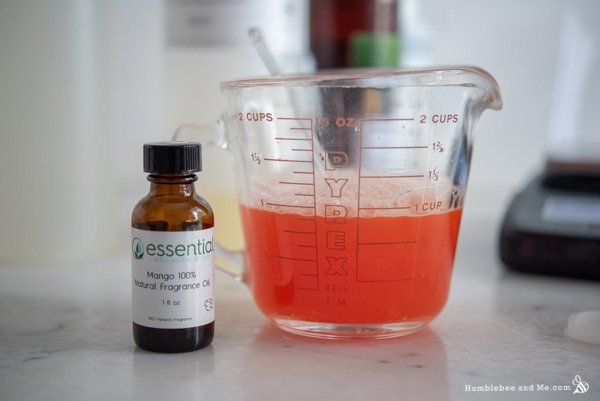 If you don’t have the surfactants used in this particular recipe and you are uncomfortable making surfactant substitutions, please check out some of the other foaming hand wash formulas I’ve shared; you should be able to hybridize the scent & colour from this formula with the surfactant blend from another one. As written the Sodium Laureth Sulfate will solubilize the mango fragrance; if you use a different surfactant that isn’t as strong of a solubilizer you will likely need to incorporate some polysorbate 20. 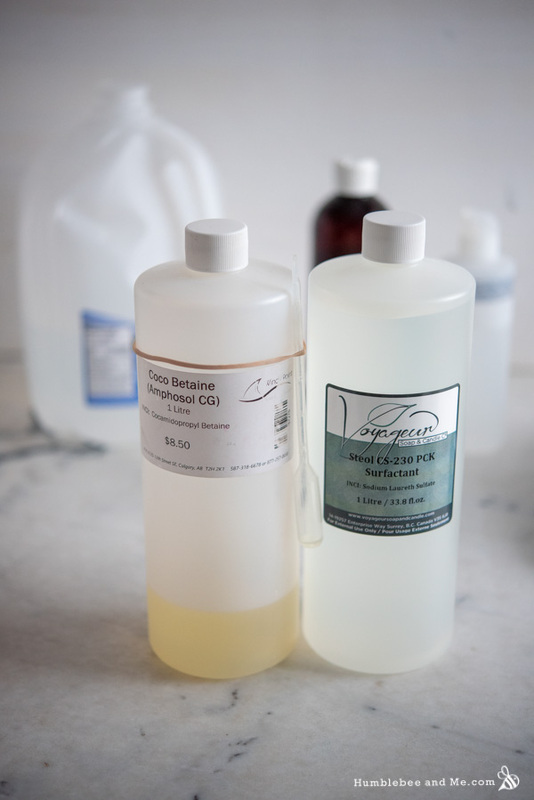 I have found 8% polysorbate 20 will solubilize 1% fragrance well; remove the 8% from the water. 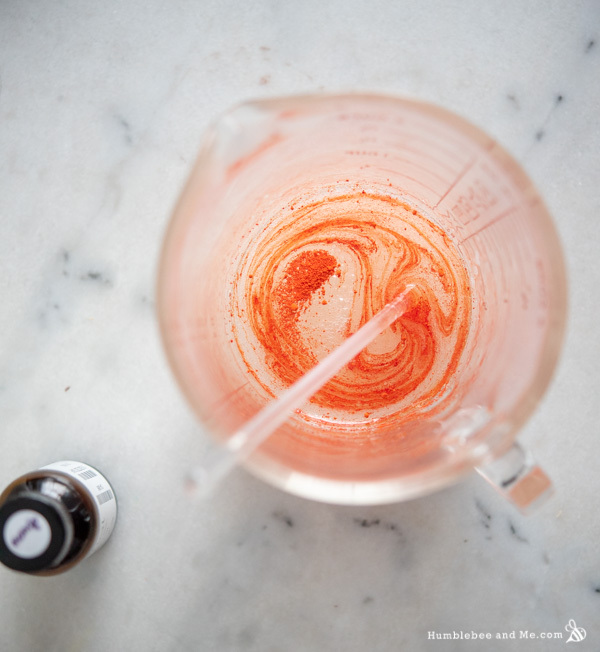 Blend the polysorbate 20 and fragrance together in a small dish before incorporating into the rest of the project. You can use a synthetic mango fragrance instead of the natural mango fragrance. You can also use a different fragrance or leave it out entirely (replacing the missing amount with more water). The lake dye is optional; if you leave it out be sure to replace it with more water. Do not use mica or an iron oxide instead; they will settle out. The natural mango fragrance oil was gifted by Essential Wholesale.